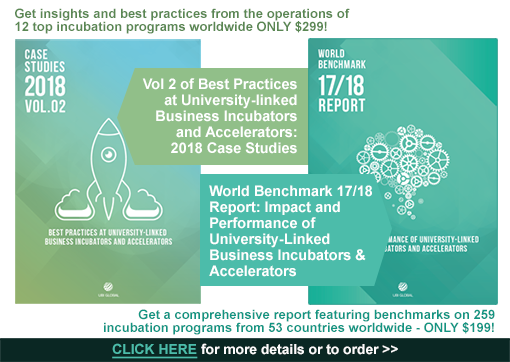 With the ULTIMATE Global Incubator and Accelerator Benchmark Package you’ll get over 140-pages of best practices and benchmarks from incubators and accelerators in countries worldwide. Take an in-depth look at the operations, business models, and revenue strategies from the top performing business incubators and accelerators in the world! 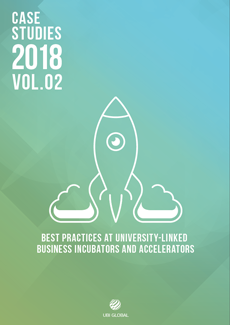 Inside this new second volume of UBI Global’s popular case studies report, you’ll find detailed success stories and best practices from the top performing university-linked business incubation programs worldwide. This 80-page report takes an inside look at the key strategies used by 12 top university incubation managers. Best Practices – Top incubator managers share their secrets, tips, solutions, and advice so you can adapt their best practices and ensure your incubation program becomes a top performer too! 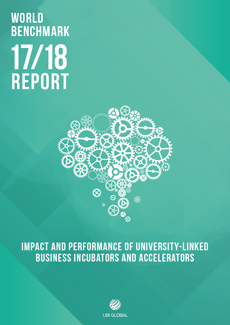 Best Practices at University-Linked Business Incubators and Accelerators – Case Studies 2018 and World Benchmark 17/18: Impact and Performance of University-Linked Business Incubators and Accelerators are the latest two reports from UBI Global, a pioneer in measuring and analyzing the impact and performance of university-linked business incubators and accelerators. We stand 100% behind the quality and value of these two unique incubator and accelerator resources. If you are dissatisfied, simply let us know and we will send you an immediate refund of your entire order.